KANSAS CITY, Mo. (WDAF) -- After a lifetime of torture and abuse, seven-year-old Adrian Jones died in a shower stall where he was held prisoner, beaten and starved. His body was then fed to the family's pigs. His parents, Michael and Heather Jones, pleaded guilty to murder, but they may not be the only ones responsible for the tragedy of Adrian Jones. "Every year of his life he had events. Every year of his life DCF failed him," said Dianne Keech, former deputy director at the Kansas Department of Children and Families (DCF). "He was my responsibility,” Keech said. “I left because I knew children were being hurt under our jurisdiction, subject to repeat maltreatment, and I didn't feel like I could do anything to change it from the inside." After a lifetime of torture and abuse, seven-year-old Adrian Jones died in a shower stall where he was held prisoner, beaten and starved. For the past six months, Keech has worked with the FOX 4 Problem Solvers, analyzing more than a thousand pages of DCF records. Keech said Adrian was not just a child who fell through the cracks, and it wasn't just one incident led to him being fed to the pigs -- but rather every single case was mishandled. Child Protection Consulting, LLC, provided a S.A.F.E. Review, showing some of the ways in which Kansas DCF failed Adrian Jones. Of the 28 cases we reviewed, three in particular seemed to seal the little boy's doom. August 2011, during a state investigation of neglect by Adrian's mother, Dainna Pearce, the social worker noted Adrian and his sister said someone had been sleeping in Adrian's bed and a man had been playing with the three-year-old in his bedroom with the door closed -- possible sexual abuse that was never properly reported or investigated. Adrian's mom eventually lost custody to Adrian's father, Michael Jones, and his new wife Heather. But DCF records show Heather had a history of child abuse, and Michael lost a child in another state. "So Adrian could have gone from the frying pan into the fire, giving him to Michael?" FOX 4 reporter Shannon O’Brien asked. "They do not know because they did not do a thorough investigation as required by statute," Keech replied. In December 2011, while stepmom Heather was with the children, Adrian's two-year-old sister was rushed to the hospital suffering from seizures, a brain bleed and internal bruising. Social workers learned at that time Adrian had also been abused. "It came to the attention of DCF that Adrian had a black eye, a cut on his inner lower lip and bruising on his face and back," Keech said. “There is no finding regarding this in the file anywhere. That means it was not investigated." After multiple additional abuse allegations, DCF put a safety plan in place, barring Heather from contact with Adrian and the other children. In December 2012, DCF received a report that the Joneses were violating the safety plan, as Heather was back in the home. DCF paperwork shows the children were being spanked until their bottoms bled. The social worker made note of it, but again, never properly investigated. "What should have happened is as soon as they discovered that Mike and Heather were back together, they could have filed a request with the county attorney to place those kids in foster care," Keech said. FOX 4 shared our findings with Kansas Senator Barbara Bollier, who is part of a legislative task force now demanding answers about children like Adrian. “I have almost no words for that, and that is one of the major red flags that is going on right now, is that things have not been followed per the law,” Bollier said. “Not that it is just the Adrian story, but I have been hearing this in other places with other children." It's a conversation that happens every day in former Wichita Mayor and Kansas Gubernatorial Candidate Carl Brewer’s family. He knows the pain of losing a child who should have been protected. “I will always remember the day when I was here at the American Royal in Kansas City, Missouri, and was called by the chief of police and told to come home,” Brewer said. "I will always remember that day, and I will always remember that drive." 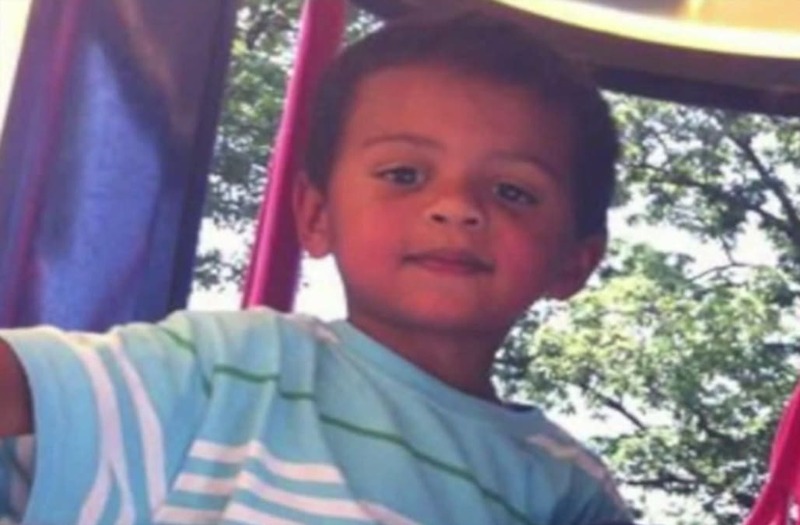 This past September, the body of Brewer's three-year-old grandson was found encased in concrete at the home where the child lived with his mother and her boyfriend. Brewer's son Carlo had been fighting for custody of his son in a battle involving the courts and DCF. Brewer believes child welfare in the state of Kansas has been in crisis for years. It’s a belief Keech agrees with: “DCF, I believe, is more concerned about protecting themselves than children." To avoid accountability for its failures, Keech said DCF manipulates, hides and destroys information. "If there is a child death, I was personally instructed by legal to take notes and then shred them afterwards. I was instructed by directors of other departments not to put any concerns in an email," Keech said. She said any email sent regarding a critical incident, DCF workers must write attorney/client privilege in the subject line so the email is not discoverable if the department is sued. "I think they are actually purposefully deceiving the public,” Keech said. After Adrian was murdered in late 2015, the head of DCF, Secretary Phyllis Gilmore, issued a statement saying the agency had not had contact with the Jones family since February 2012, but the department’s own records show the last contact was actually in January 2014. Keech said she's uncovered evidence that DCF also lied to the state Child Death Review Board. She wrote a 13-page report that compared what DCF told the review board and what the truth is. “The basic bottom line is they omitted information and they manipulated information," Keech said, "so the Child Death Review Board could not see a true picture of what happened in Adrian's life." DCF is involved with the legislative task force working to fix child protection in Kansas, but after our investigation, Senator Bollier said she is leery the task force will be getting accurate information. "It will be important to get that piece as compared to what other people are saying,” Bollier said. “Then when you put those two side-by-side and you see huge discrepancies, then you say 'There is a problem. We have to investigate further.'" Keech said Fox 4's Problem Solvers investigation exposes criminal negligence on the part of the Kansas Department of Children and Families. If it had done its job properly, Keech said Adrian Jones would be alive today. As a result of our investigation, police are now looking into possible criminal charges against those in DCF who failed little Adrian. DCF Secretary Phyllis Glimore, who declined our repeated requests for an interview, abruptly resigned effective Dec. 1, 2017.